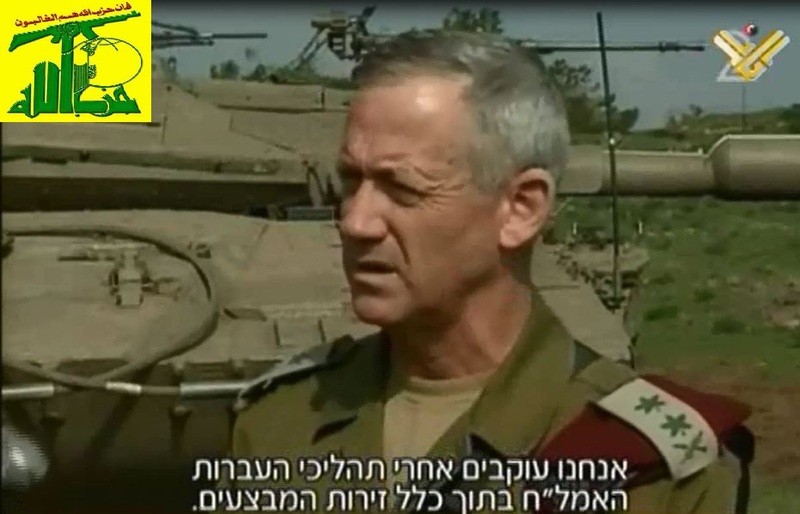 JNN 20 June 2014 Jerusalem : The head of the Zionist armed forces Lieutenant General Benny Gantz admits that Hezbollah became the seventh most strongest between USA, Russia, France, Britain, China,Isreal then Hezbollah. Speaking at the Herzliya , Gantz pointed out that ‘Israel’ has to be worried about the military experiences Hezbollah is gaining from its intervention in Syria, stressing that the Israeli army has to be worried about the Hezbollah fighters who are still deployed in the area, at the borders. However, he talked about Hezbollah being able to fight on different fronts in Syria simultaneously, this if done while a war with Isreal could form a great danger to Isreal’s stability. Gantz considered that the developments in Syria do not serve the Zionist interests as long as President Assad rules that country. On Iran, Gantz claimed that using the military power to halt Tehran’s nuclear program is “a must”. In addition, and according to Haaretz: (Qouting Al Manar) The Israeli officer cited Hezbollah official website which displayed in 2011 plans to invade Galilee, including geographic designs and explanation about the possible targets, like the surveillance and the air force bases as well as others. According to Haaretz, the Zionist General said that Hezbollah conducted military maneuvers simulating Galilee invasion. The Israeli General said that Hezbollah could also employ the military experience it gained from its intervention in Syria war. He added that Hezbollah has turned to be an offensive military group which can penetrate the enemy’s territories and employ large number of troops and brigades. This entry was posted in Lebonan, Middle East and tagged General Benny Gantz, Hizbollah, israeli army. Bookmark the permalink.